“Pastor, our small church needs help organizing a Friends and Family day for the end of August to launch our new season. As we talked on the phone, we kicked around a few ideas unique to their church, but developed some ideas that are useful to many churches. These are the steps we followed in May when we launched our morning worship service. Read on to see what happened. 1. Build a base of prayer. Have people write down names of potential guests on a card and pray daily. Ask God for opportunities to invite people. Read 10 ways to pray for more invitations. Make an announcement each week. Pastors: talk about your personal invitations to others. Cast vision for hospitality and welcome. Prepare marketing materials your people can give away. 3. Update / Review your hospitality systems. Cast a fresh vision for your greeters and ushers of welcoming the church visitor. Give your building / meeting space a fresh review for cleanliness and presentation. Review your method to get visitor contact information. Update your visitor follow-up process to current information. Update your Visitor Welcome Packet. Read Review your Church Hospitality Ministries. 4. Give people tools to invite their friends. They can share with their networks like Facebook. Give people online tools to share with their networks. Update your webpage to feature the sermon series. (Read Business Card Outreach Idea for Church Members). 5. Launch a sermon series that day. Launch a 3-4 week sermon series around a life problem. Use the series to show the Bible is relevant to life. Give opportunity for people to respond to the gospel message. Foreshadow the next installment to increase the possibility of a return visit. Lift up opportunities for people to build new friendships or give themselves away in service. 6. Have a follow-up “meet the pastor” type event. 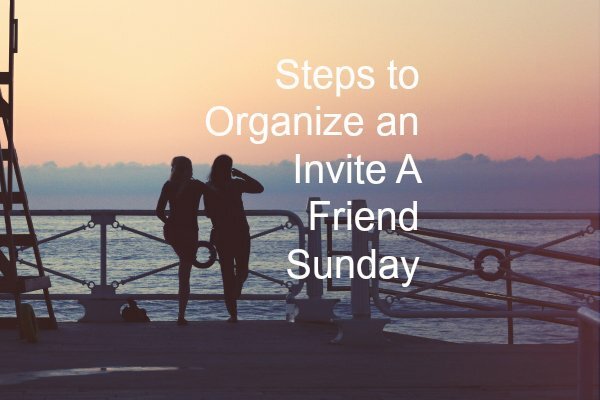 Prepare a social event within a few weeks of the first Sunday. Invite your guests to that event. Showcase the mission of the church and its involvement in the neighborhood. Invite people to serve in the community. These were the steps we followed in the launch of our day in May 2010. Our core team of nearly 25 people started with prayer. We talked about this day for 2-3 months ahead. We had social tools to share online, and lots of personal invitations to church were made. We had great success in attracting people to our service. We only expected 30 people, but had 70 actually attend that day. However, we failed to complete these last two steps mentioned above. We had a great launch, but lost lots of momentum because we had nothing related the next Sunday we met. 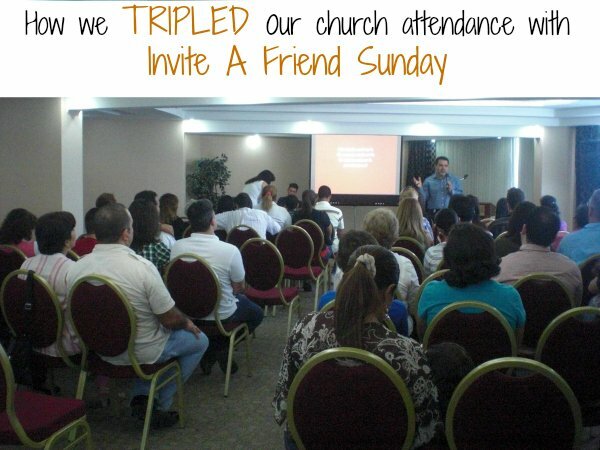 The following Sunday was an unrelated sermon topic that people failed to rally around and invite their friends. The invitations dropped way off, such that only 40 people came. As we retool for the next launch this fall, those last two steps will be critical for us in continuing to build our base. I would add a seventh step: Repeat! Many congregants will initially respond coolly to an invite-A-friend type event, until they see their peers invite their friends. Repeating all of the above six steps about four times a year will give congregants confidence to invite their friends to church. Every time we plan an event, we review, update, adapt, and revise our marketing materials. Each event has a unique theme related to the season and sermon series. Our marketing materials include a prayer card to guide congregants about our preparations for 3-weeks prior to the event and invitations congregants would be proud to give to their friends. We are looking at having a FRIEND DAY at out church. How do we order the material?